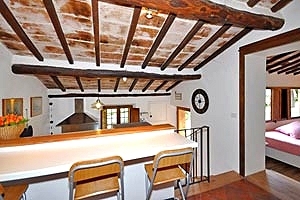 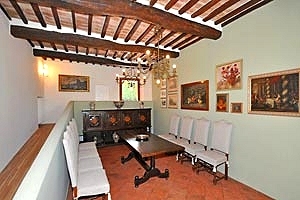 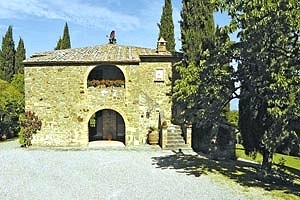 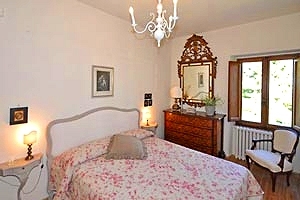 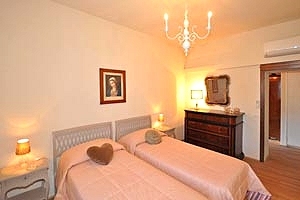 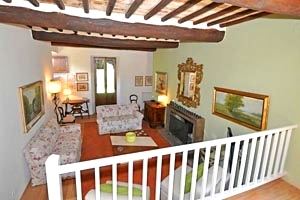 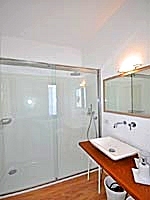 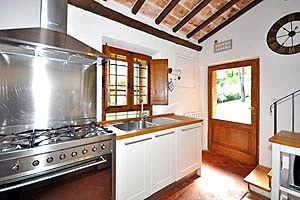 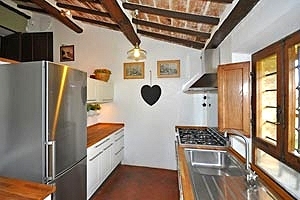 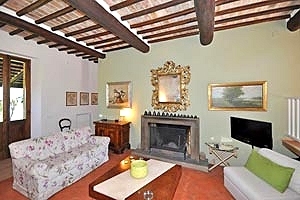 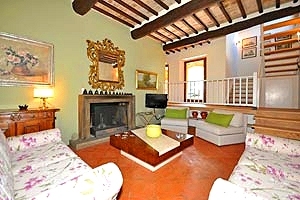 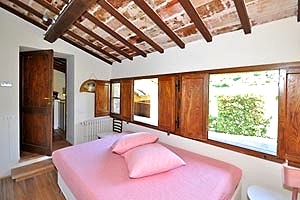 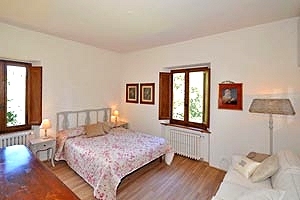 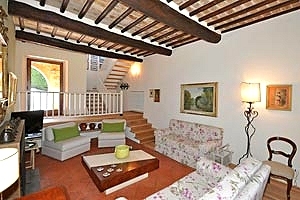 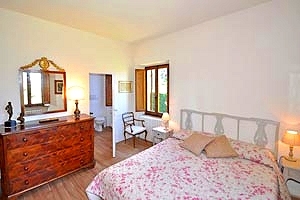 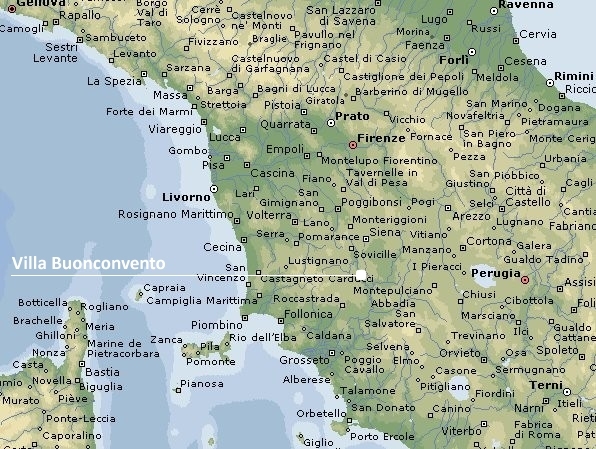 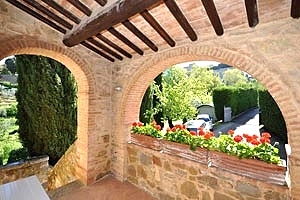 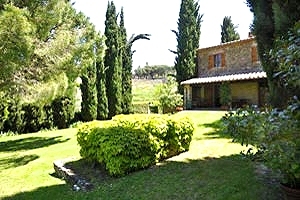 The villa is in the province of Siena, in a region of southern Tuscany called Val d'Orcia. 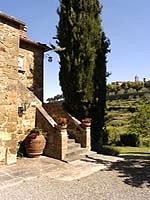 A land of charming medieval villages and thermal waters, Val d'Orcia is renowned also for its food-and-wine delicacies. 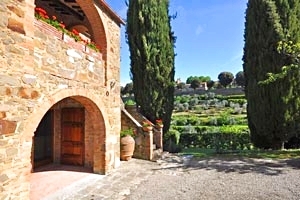 Between a visit to Pienza, Pope Pious II's ideal town, and a relaxing bath at Bagni San Filippo thermal baths, a trip to Val d'Orcia offers the opportunity to taste "pici" - a traditional type of fresh pasta -, the famous pecorino cheese of Pienza and a glass of Brunello of Montalcino. 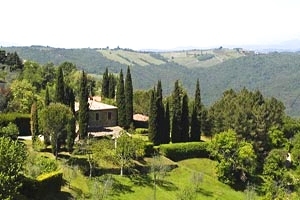 Every year in Val d'Orcia take place many festivals dedicated not only to the most celebrated food-and-wine specialties of the region, but also to mushrooms, maize porridge, honey and chestnut: a real paradise for good-food lovers! 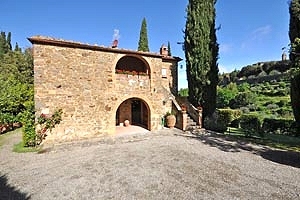 The villa is the ideal accommodation for those who dream of relaxing in the peaceful Tuscan countryside while admiring the wonderful view of the nearby town of Montalcino and the surrounding countryside. 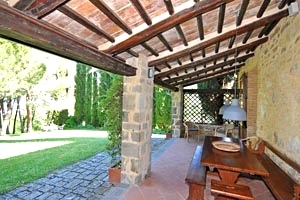 The beautiful stone building furnished with various period items is surrounded by a fully fenced garden in which are a barbecue area and the private swimming pool (5x9 m; depth: 1.20 m). 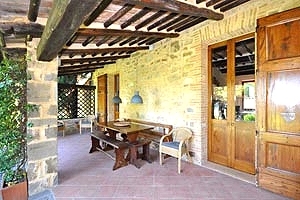 The porch is furnished with table and chairs for dining in the open air. 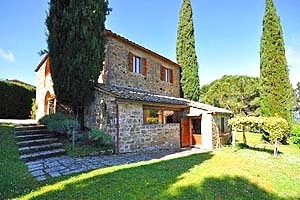 The two-storey stone building can accommodate 7 guests in 1 single bedroom, 2 double bedrooms and 1 twin bedroom and has 3 bathrooms. 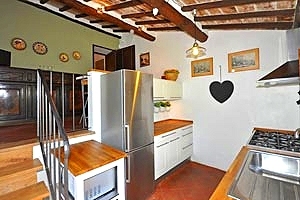 On the ground floor are the kitchen, the dining room, the living room with fireplace and a single bedroom with private bathroom with shower and washing machine. 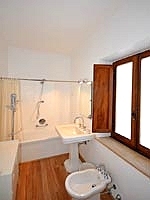 The first floor composes of a twin bedroom, two double bedrooms (one with a private bathroom with shower) and a bathroom with bathtub. 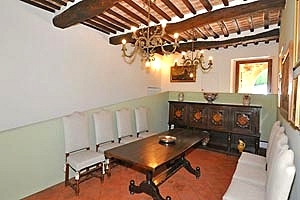 The living room and the dining room have a direct access to the porch. 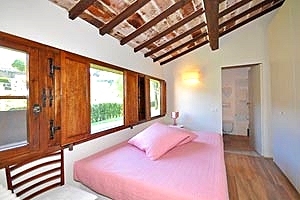 The villa comes with swimming pool, barbecue, air conditioning, fireplace, satellite TV, radio/CD player, VCR/DVD player, Internet connection, oven, microwave oven, freezer, dishwasher, washing machine, telephone, cot bed, hook-on chair and private car parking space. 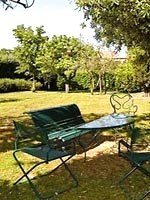 Shops and services of any kind are within 500 metres of the villa.